Student Council develops student leadership skills through service opportunities to EagleNation and the surrounding community. GC students Grade 6 - 12 are led by a senior leadership council which develops opportunities for mentorship through partner classes, canned food drives, Parents Night Out, Fund-Raisers for scholarships, school event assistance, spirit activities, serving at the Chamber of Commerce banquet and more. 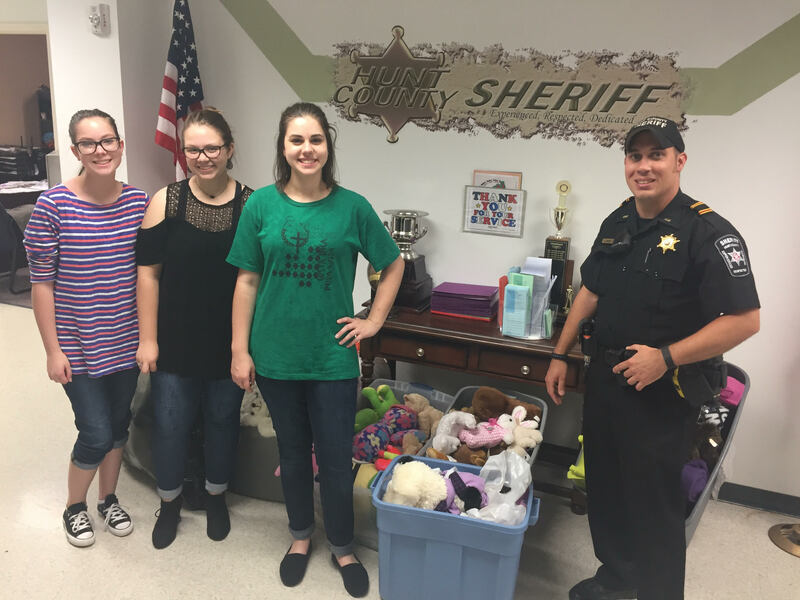 Student Council members dropping off bears to the Hunt County Police Station for their 2017 project Back Seat Bears.